Extension Notice of NIT No. BGSBU/E.E/T-3 of 2019; Dated: 09-03-2019 up to 25-03-2019. 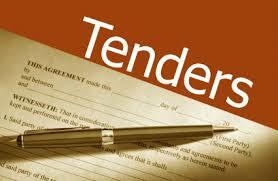 Tender Document for providing Catering Services in the University Girls Hostels. Extension in the last date of submission of Tenders for Supply and Installation of Sign Boards, Modular Speed Breakers, Cat Eyes, Median Markers. Extension in tender notice for Stationery related items, Printing related Items (University publications / Printing Items), Computers /Photocopiers related Stationery /Consumables items. Abbreviated Tender Notice for Stationary related items, Printing related Items (University publications/Printing Items) and Computers/Photocopiers related Stationary/Consumables items. Tender Document for Rate Contract for Procurement of Computer/Photocopiers related Stationary Related Items/Consumables. Tender Notice for Supply and Installation of CCTV Cameras. Abbreviated Short Notice inviting tenders for the Supply of Kail wood. Extension notice to Tender no BGSBU/E.E/T-1 Dated:26/11/2018. Tender Invitation for Works at Various Buildings at BGSB University. Tender Notice for Supply of Air Conditioners to BGSB University, Rajouri.